Bulged chopper grips can be a direct replacement for the stock Harley grips or can be installed on any custom chopper, bobber and most custom bikes. 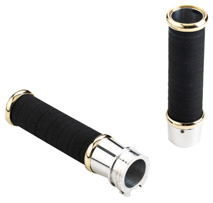 These chopper grips fit on all 1″ diameter handlebars and are available for external or internal throttle device. 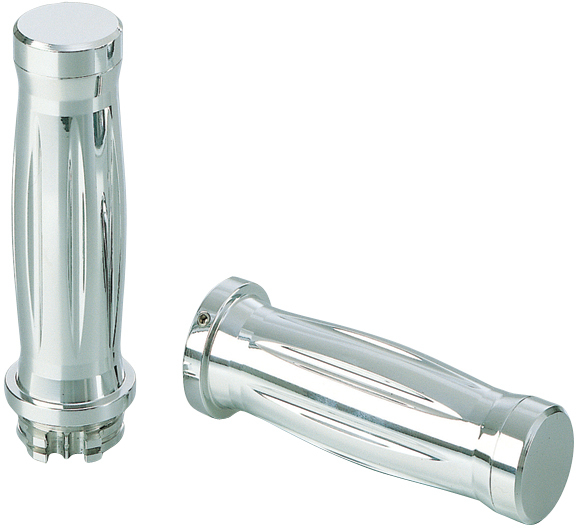 These chrome motorcycle grips feature a very distinctive design and perfectly match our Custom Hand Controls and Race Motorcycle Hand Controls. We also offer black motorcycle grips for customers that prefer the “dark look”. Sold in pairs.